Among the last acquisitions of the manuscript and rare book department are the G.Polyachek collection, archives of M.Chekhov, P.Gaideburov, Yu.Slo-nimsky, E.Time, original sketches of costumes and scenery by S.Yunovich, T.Bruni, M.Kitaev, E.Kochergin, N.Akimov. The library takes an active part in the research and exhibition work. These exhibitions help the readers to get acquainted with the library's stock and with new acquisitions. Original sketches, manuscripts and rare books are exhibited in St.Petersburg's main museums and abroad. The catalogue system of the bibliographical department is a many-branched system comprised of alphabetic and systematic catalogues and of detailed card indexes including a summary of the content of each item. Some of these indexes have a special historical value: the V.Vsevolodsky-Gerngross card index on the history of Russian dramatic and musical theatre from 1800-1850, the A.Bryansky card index on Russian books on theatre from 1741-1941, and the card index on ballet compiled by L.Blok. Around the turn of the century the library was closed to the wide public, because of all kinds of art-productions secrets of the producer's department of the Central Administration of the Imperial Theatres which were kept there. The pages of the readers' registrations books with the records of books loaned and books returned were signed by V.Meyerhold, M.Savina, V.Michurina-Samoilova, A.Sumbatov-Yuzhin, A.Schervaschidze. Among the readers of the library were theatre producers: E.Karpov, N.Akimov, G.Tovstonogov, R.Agamirzyan, I.Vladimirov, E.Padve, L.Dodin, S.Spivak, R.Viktyuk; theatre artists: A.Benois, A.Golovin, K.Korovin, S.Yunovich, T.Bruni, M.Azisyan; actors: Yu.Yurjev, G.Ge, N.Simonov, A.Raikin, B.Tenin, L.Sukharevskaya, B.Freindlich, A.Freindlich, V.Strzelchik, S.Yursky, K.Lavrov and others; theatre and ballet scholars: Yu.Slonimsky, V.Krasovskaya, A.Gosenpud, L.Gitelman, D.Zolotnitsky, G.Mordison, A.Altschuller and others..
Russian and foreign authors - readers of the library present the library with signed copies of their books. 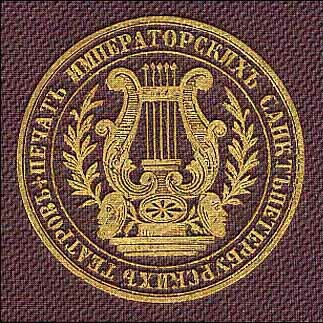 The Saint Petersburg Theatrical Library is now 240 years old. It is a unique collection of historical, cultural and artistic treasures. The library has always taken part in the living theatrical process and has always been one of the unit of the theatre. Many selfless people contributed their minds, labour and love to the creation and development of the library and its splendid traditions.